Where did my grownup girl go? Woof! Jennifer’s not at her desk? Woof! Daddy says she is at lunch! Oh! 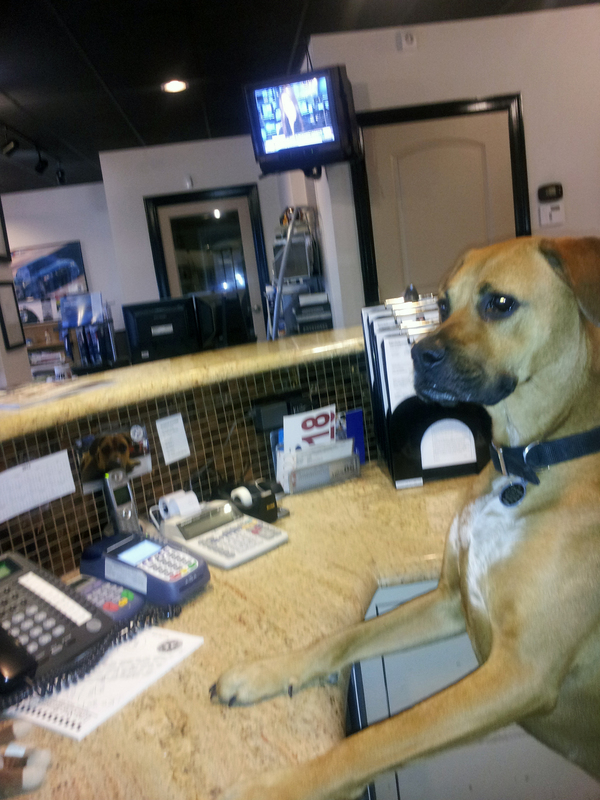 But who is going to watch the front desk? Woof! Woof! I guess I will have to do it! Woof! Good thing Lee is here to help me because my paws don’t work the keyboard very well! If you need an appointment call me at 817-732-4888 or come by Lone Star Bavarian. We work even during lunch!